Filter by Account Format Standard Gold Ed. Ultimate Special Ed. 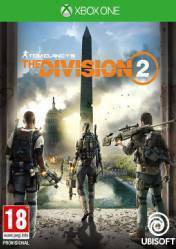 Attention: This version of The Division 2 is for Xbox One and many of the stores listed on Gocdkeys offer a version in account format. The PS4 and Xbox One accounts give access to the game simply by accessing them through a username and password that you will receive by email after purchase. These versions may have a regional lock and are marked with the "Account Format" label in our price list. If the store does not have a tag, it means that the game is a physical version or a version in key form, which we simply enter into our account, PSN or Microsft, to activate it. The action takes place again in Washington, DC, represented as a huge open, dynamic and hostile world in which we will find all kinds of missions, adventures and above all, challenges, and which we will be able to face individually or in cooperative mode, to be able to access better rewards. One of the most important novelties is that this edition will bring a strong competitive PvP component, where the team and our skills will be constantly tested. In the price comparison you will find the standard versions, the Gold version and the Ultimate version of The Division 2. The Gold and Ultimate versions of The Dvision 2 include a year 1 pass that includes an early 7-day access to all episodes of year 1, exclusive customization elements, additional activities and more content that will soon be unveiled. There are no comments yet about The Division 2. You can be the first one!